Happy Monday all! This weekend was our first full weekend where it actually felt like fall. The sun was warm but there was that very distinct cool breeze that you just know means its fall. It kind of has a crispness to it, and a scent. Anyone know what I mean? Or do I sound like I am losing my mind? On Saturday the hubs and I took advantage of the cooler weather by getting some MAJOR work done on two outstanding projects: the DIY headboard and our Craigslist dining table and chairs. This was the first time I wasn't sweating gumbballs while doing work in the garage, so I was basically out there all day. By dinner time my entire body ached and I just felt old. This thing was a beast. Even though you don't have to prep for chalk paint, this needed lots of TLC. When I took this photo I still needed to wax everything, which is why the seats weren't attached yet. Stay tuned for the final product this week! Another sneak peak, this time of the headboard... its coming along! I am beyond excited to share the final product with you but I never got around to the nailhead trim this weekend so we'll all have to wait a couple days! If only we had a 3-day weekend! Ruby isn't a big fan of the waves but the longer we were there, the more brave she got and she started running through the water. 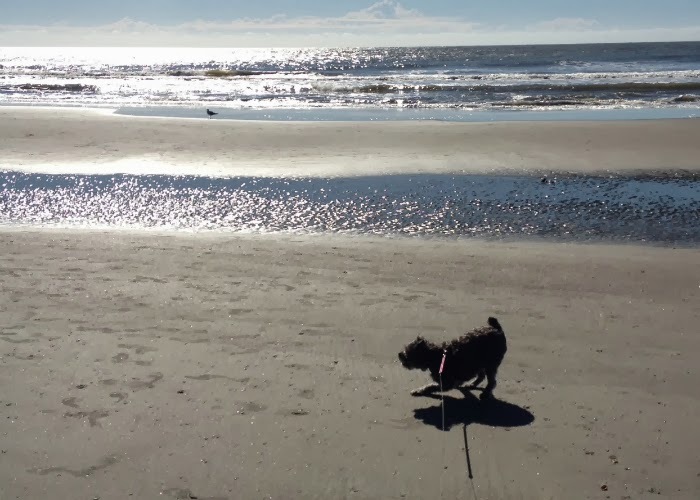 Right after I told the hubs how surprised I was that she wasn't that dirty, she took the liberty to roll in the sand near the walkway to the car. I totally jinxed it. Ugh! I hope you all had a fantastic weekend like we did! P.S. Can you even believe tomorrow is OCTOBER?! I can't wait to see that headboard! Me too! I'm super ready to be done with it too.. haha! The dining room table looks so pretty already! 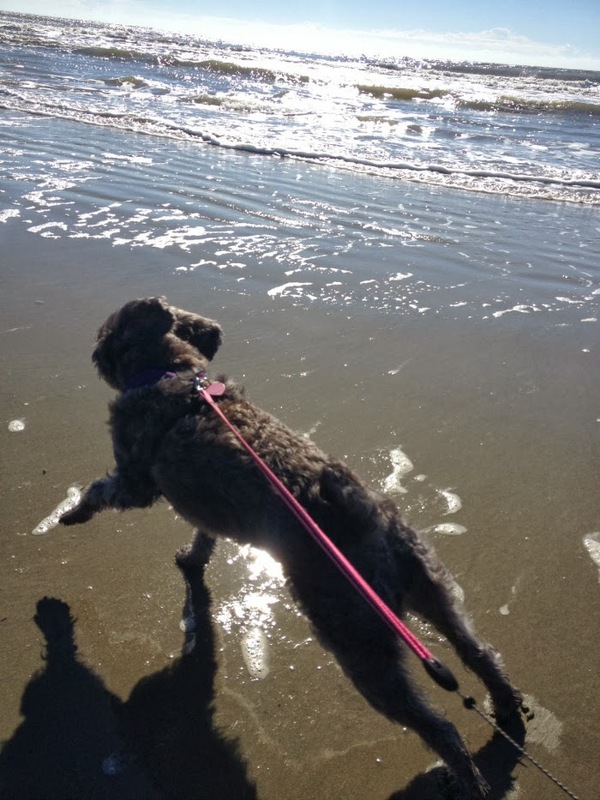 Loved the beach pics - looks like you all (and Ruby) had a great time! 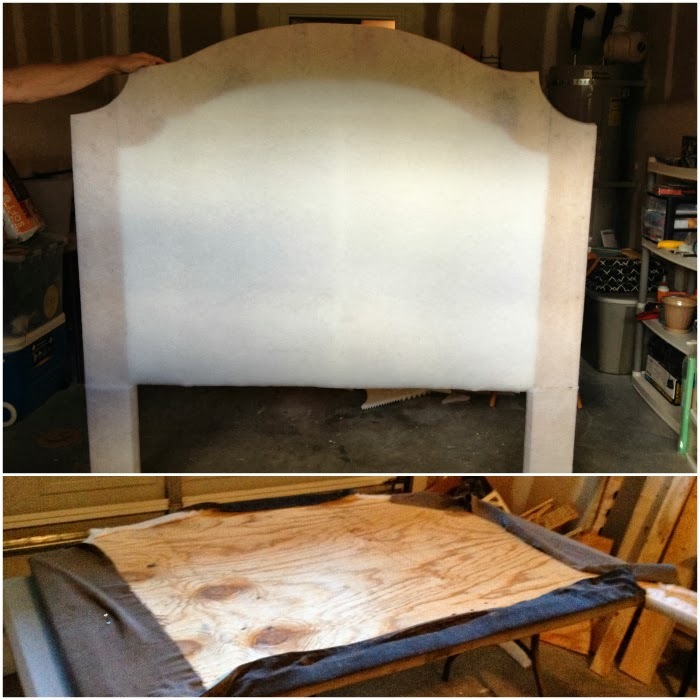 Loving the headboard and can't wait to see the finishes product! The table looks great, too! Can't wait to see the headboard! Ruby looks like she had a lot of fun at the beach! 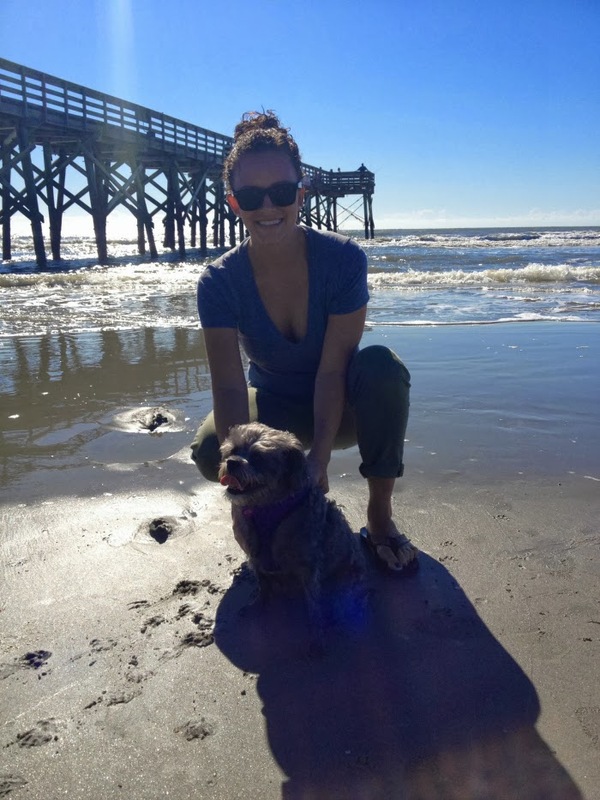 Ruby looks like she had the best time at the beach! Dogs are so cute when they can run wild and free! 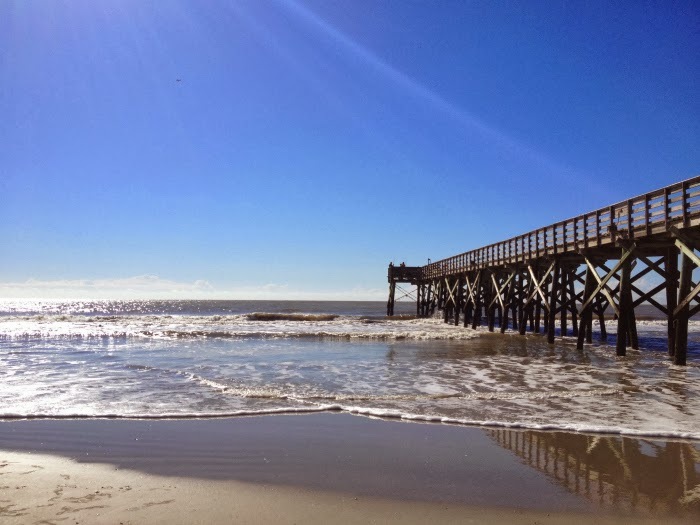 The weather was perfect in Charleston this weekend! Can't wait to see the finishing touches on the table! I think chalk painting is so cool and am dying to try it! 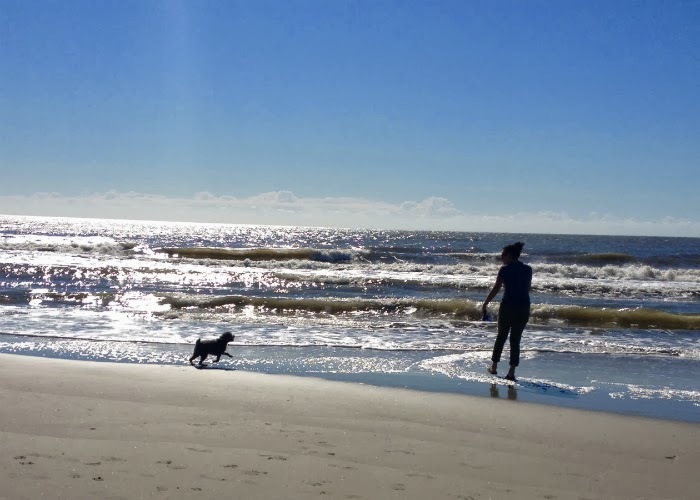 Nothing happier than a dog at the beach - as long as they don't drink the water!! Can't wait to see the headboard. I need some inspiration to get mine started! That looks like an awesome weekend! I can't wait to see the finished dining table and chairs. 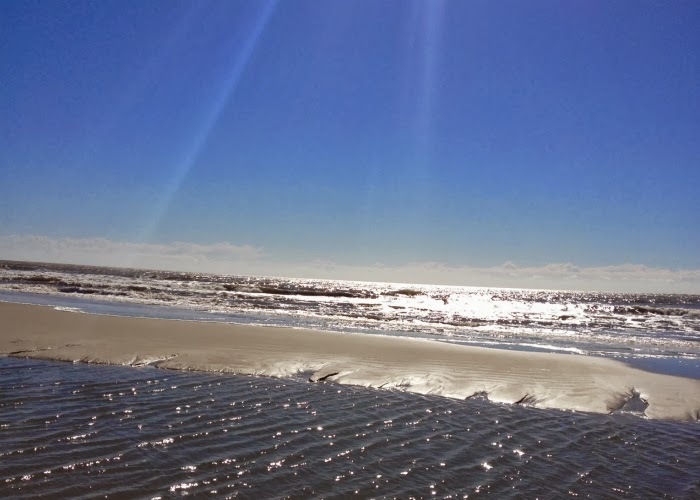 I'm so jealous that you are so close to Isle of Palms! 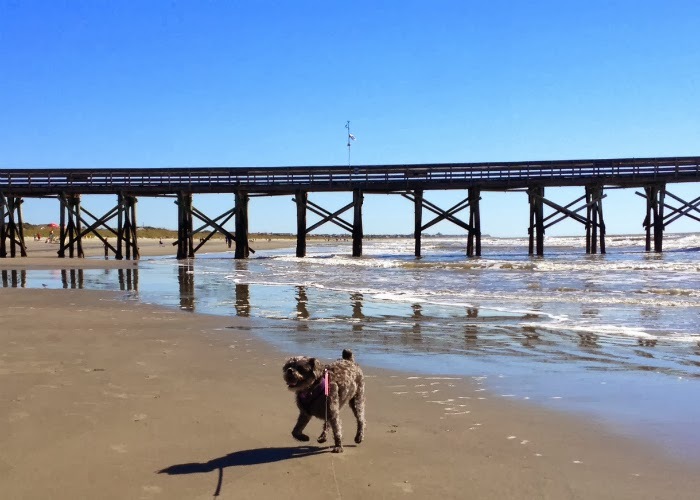 We took our pup to Pawley's Island on a summer vacation once, but she wanted nothing to do with the water! So cute to see your dog having so much fun running around. 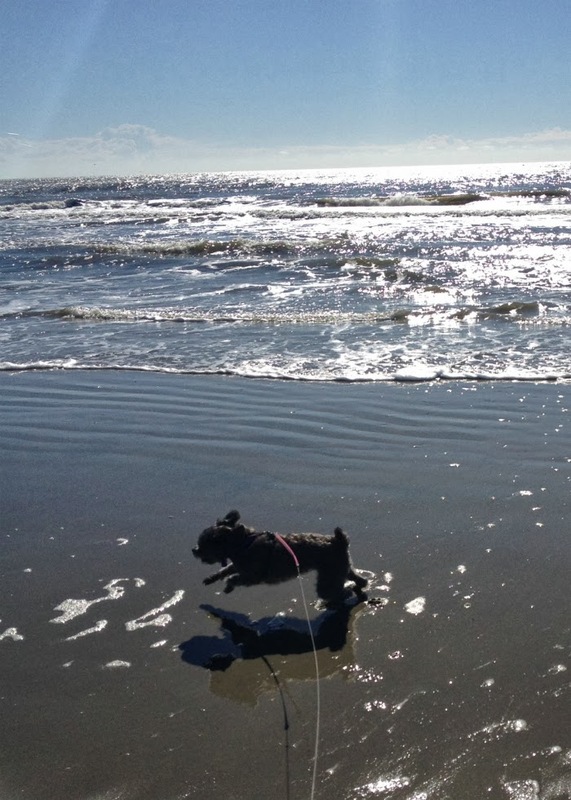 I've always wondered how our dogs would react to waves/the beach. I'm also searching high and low for Annie Sloan chalk paint in our area! 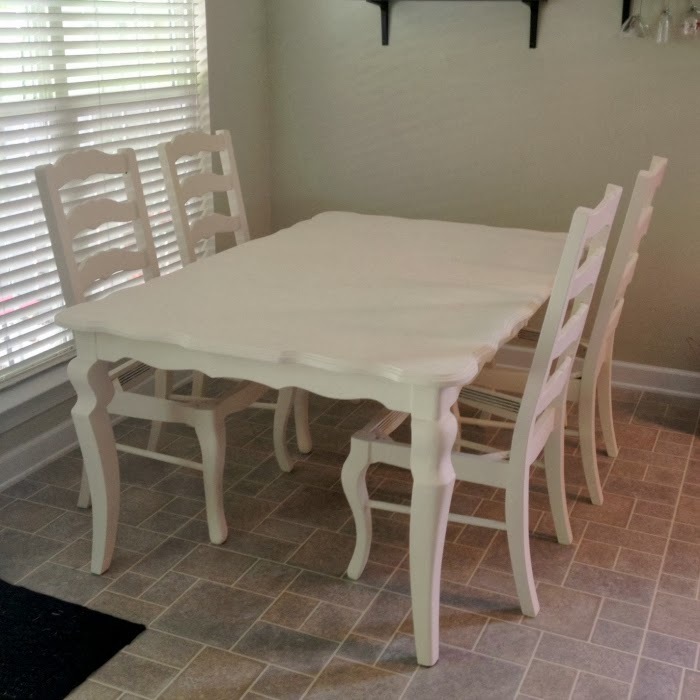 I am so intrigued on the chalkboard dining room table and chairs! Can't wait to see what it looks like when it's all done.